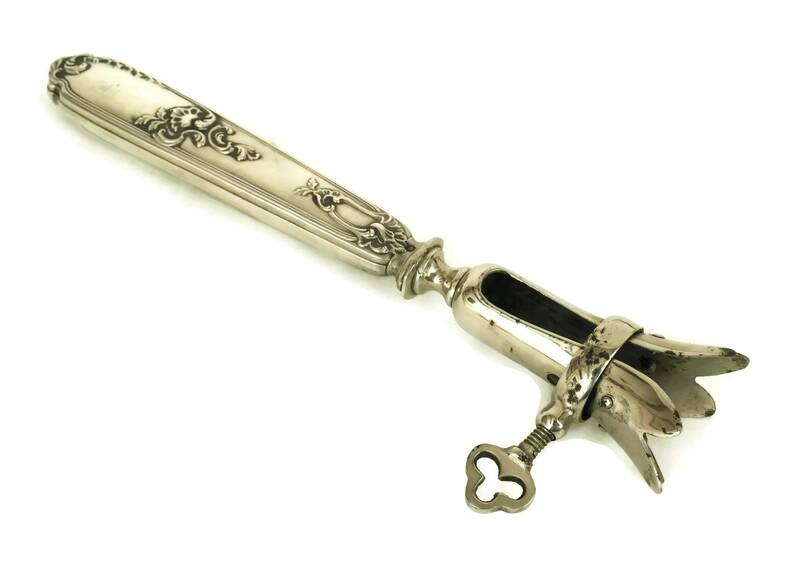 Antique Silver Carving Set with Knife, Fork and Roast Meat Clamp Bone Holder. 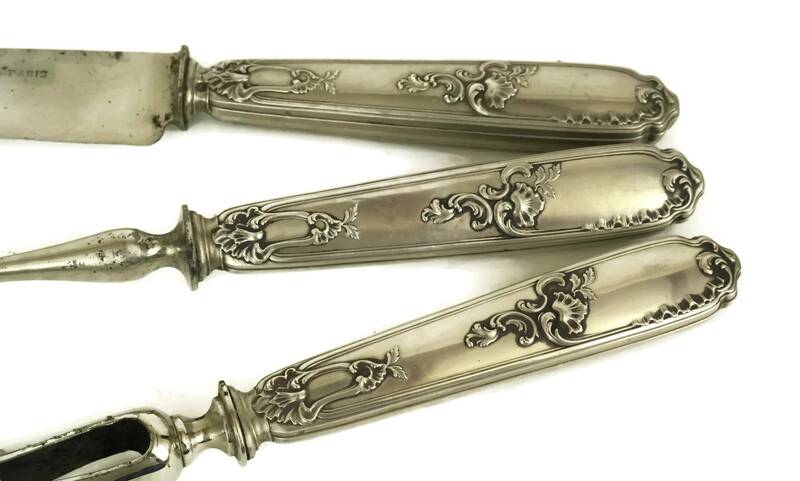 French Silverware and Table Decor. 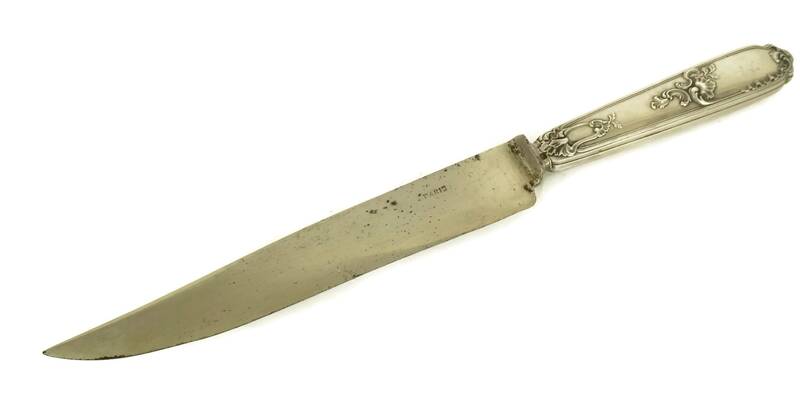 Chef & Foodie Gifts. 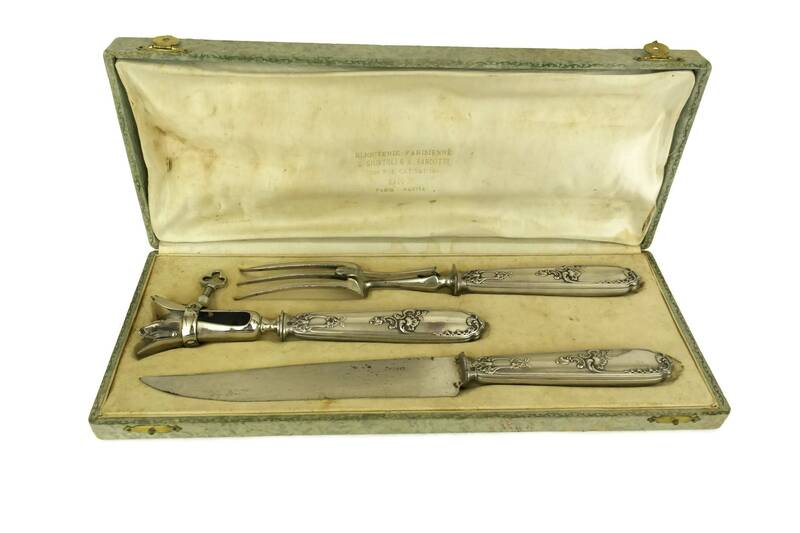 An elegant French antique silver carving set from the early 1900s. 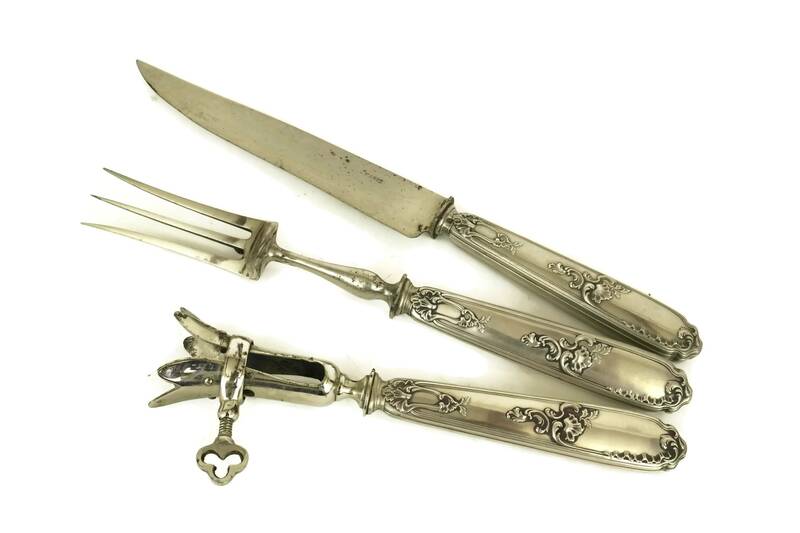 The boxed set includes a carving knife and fork with a roast meat clamp or bone holder. 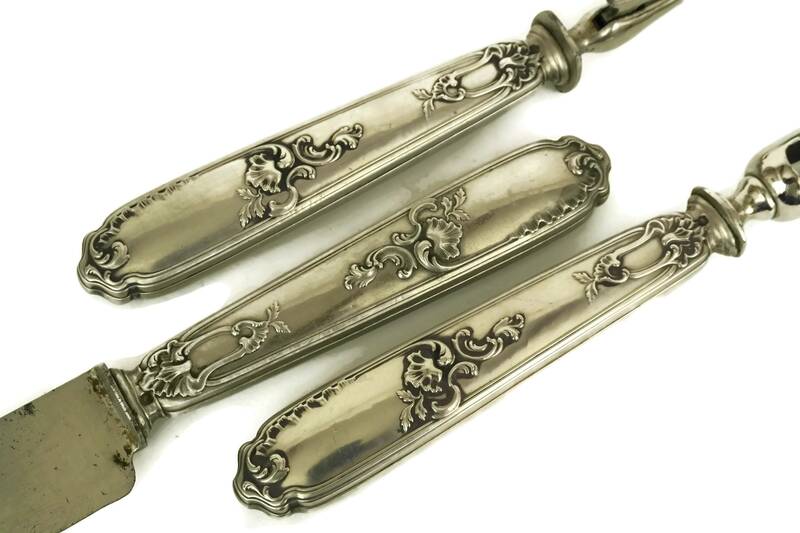 The 3 matching pieces feature French sterling silver handles with ornate antique patterns. 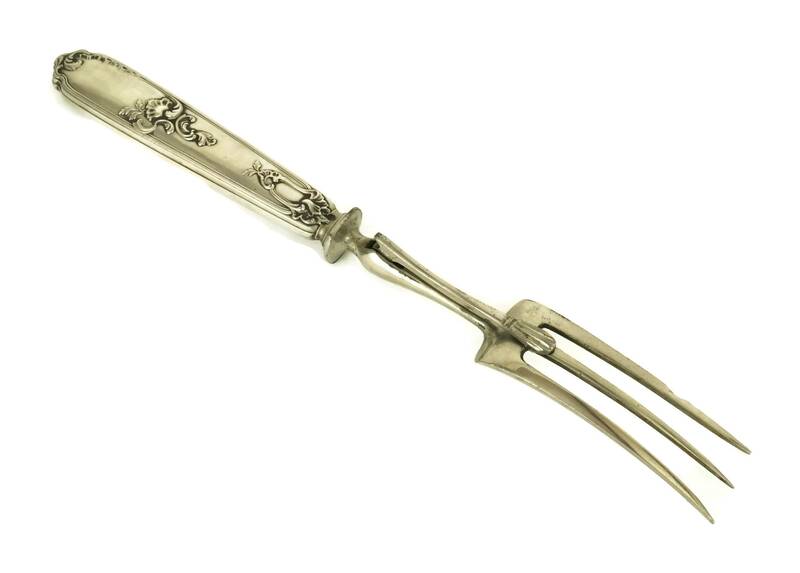 The knife blade, fork tines and bone holder have been manufactured from steel. 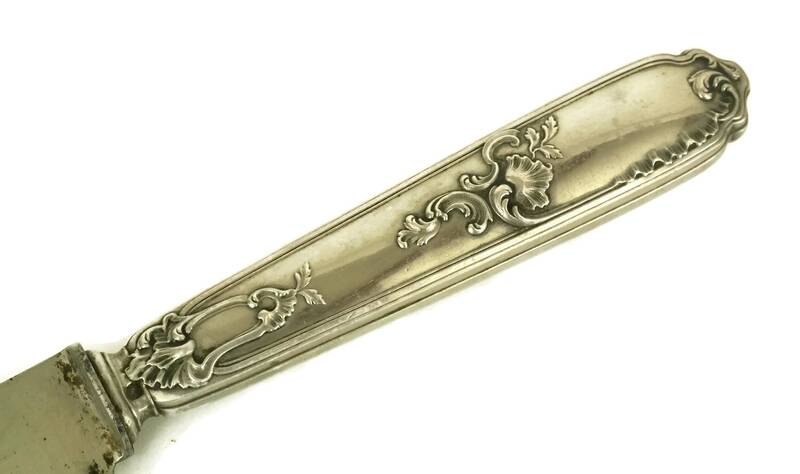 Each handle has been stamped with the French Minerva silver hallmark stamp. 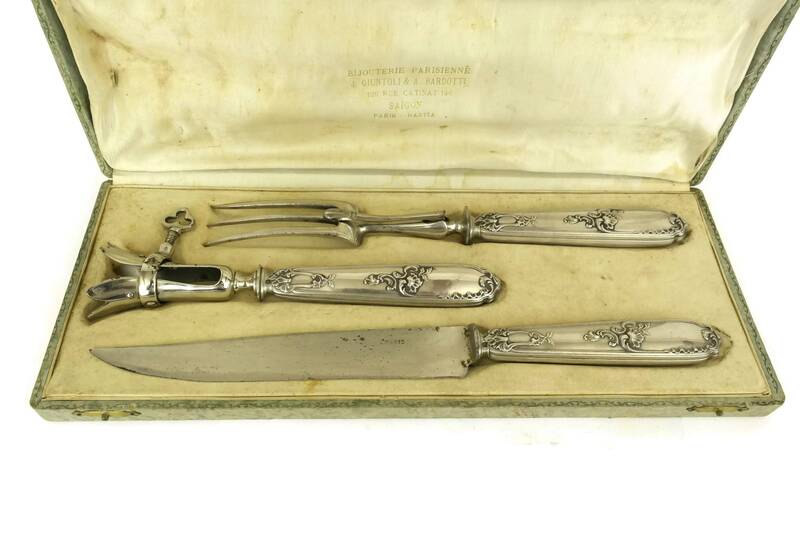 The silver carving set is in good condition with some signs of age and use including patina and surface marks. 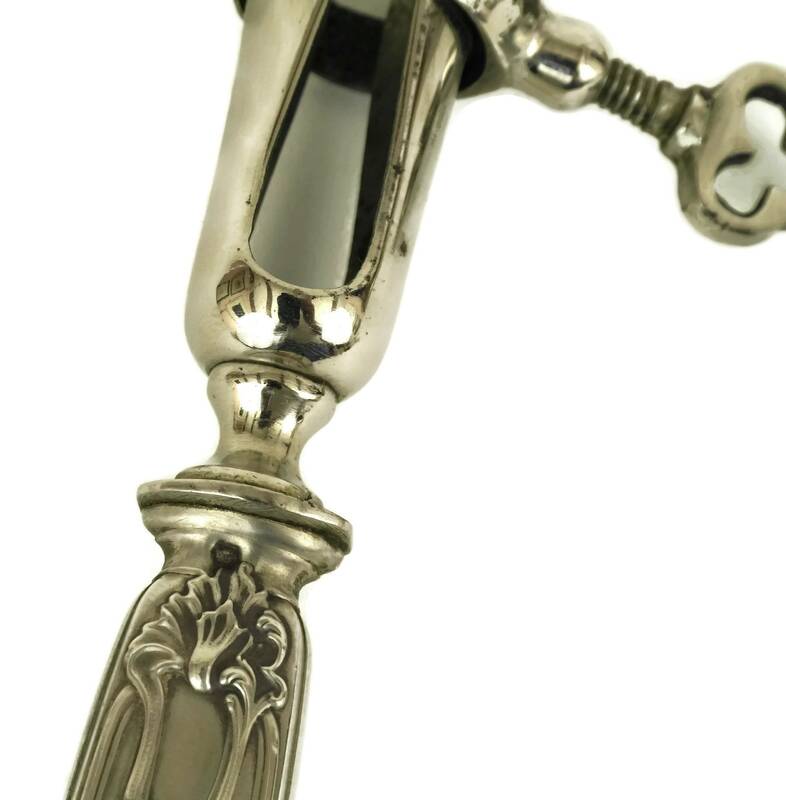 There are stains and wear to the presentation box.